Looking for a rich red sports umbrella? 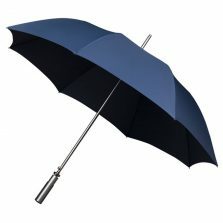 How about a good strong, lightweight, red auto-open golfing umbrella? 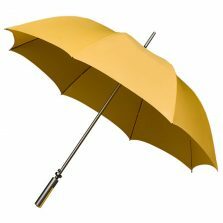 Well, we’re pleased to introduce, new to Umbrella Heaven – the Aluminium Sports Umbrella range. Here we have the Aluminium Golfing Red Sports umbrella with its striking rich scarlet red canopy. Oh, and it’s not just any red golfing umbrella, it’s an automatic opening red golf umbrella – did I mention that? The red is pantone 186C. A beautiful rich scarlet red. This striking red golf umbrella sports a smart titanium colour matched aluminium shaft and handle. Further boasting a good sized 8 panel canopy and a high quality automatic opening mechanism. As well as this, these superb red golf umbrellas are absolutely perfect for any use really. Such examples include; sports events (especially if your team plays in red), storing in the car boot [ready for that next weather emergency, you never know!] or for simply nipping out to the fish and chip shop on a rainy Saturday evening. This Aluminium Red Sports Umbrella has a canopy width of 120 cm / 47″ and is 97 cm / 38″ long. It’s also available in White, Black, Midnight Blue, Pale Orange and Sky Blue. Not the umbrella for you? Click to check out the rest of our range of quality sports and golf umbrellas!